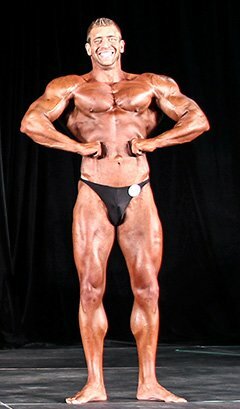 Amateur Bodybuilder Of The Week: Paul Is A Massive Canadian Competitor! Paul added 65 pounds of muscle to his frame in 10 years. Now he plans to make a run though the Canadian competition circuit. See how this beast maintains his 225-pound physique! I started training at the university gym in Ottawa, Canada, in 2004 at 160 pounds. My friends introduced me to bodybuilding training, diet, and supplementation. I remember getting my first look at the Arnold Encyclopedia. Seeing huge guys in print brought back childhood memories of heroes and the cool role models of the 80s. Initially, I wanted to get bigger than my roommate in the spirit of healthy competition but it became much more. I have an addictive personality and lifting became my healthy addiction. I stopped smoking first and then stopped drinking and started eating well later. In my first six years of training, I bulked up with lots of muscle, but had high body fat. I was 280 pounds before I realized that I looked more like the incredible bulk than the Incredible Hulk. This started my itch to lift competitively. I was at a stage in life when I needed a new goal. I just graduated from college and settled into my career. Initially, I trained for powerlifting meets. My first was a raw bench meet in Waterloo, Ontario, where I placed second overall. I was interested in bodybuilding but never intended to compete until I watched my friend compete in 2011. After his show, I decided to become a bodybuilder. I didn&apos;t know how much mental, physical, and psychological change was required to become a successful bodybuilder. I adopted new eating habits, training philosophies, and made lifestyle changes. In 2012, I stepped on stage in London, Ottawa, Ontario, at 218 pounds. My first season was a learning experience that helped me realize what needed to be done to make it to the next level of competition. 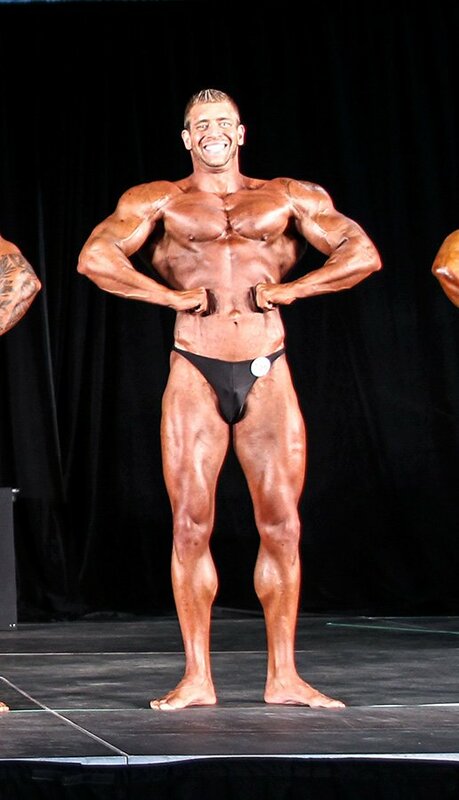 In 2013, I stepped on stage as a conditioned heavyweight in Couberg, Ontario, where I clenched the provincial qualifying spot after a third place finish. Paul holds a bachelor&apos;s degree in psychology and has several vocational rehabilitation designations! I like to hit a muscle group with at least six exercises with a minimum of 4 sets at 8-10 reps and a maximum of 10 sets at 10 reps per exercise. I can do phenomenal things with my chest and lift high volume with high weight. My back can also handle this kind of training. I hit arms and legs with high frequency and moderate weight at 12-20 reps. Here is my pre-contest training routine. Bodybuilding is a lifestyle, passion, art, sport, and a form of entertainment. This is what makes bodybuilding attractive. When people ask how my show prep is going, I say that I love every second of it. I take pride for declining everyday pleasures and delaying short-term gratification. The best part of bodybuilding is that the gratification isn&apos;t winning the class or the show, it&apos;s getting there and being the best you can be on stage. New goals motivate me to be a bodybuilder. Dreaming and taking action to make that dream come true is one of the best feelings. The results are enough to keep me motivated. "Taking action to make your dream come true is one of the best feelings." I love the friends I met at the gym. They&apos;re the most loyal and honest people I know. We have a sense of community that can&apos;t be broken. They inspire me every day. 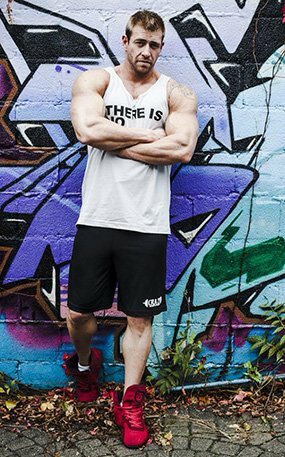 "I plan to take a year off and perfect my physique so I can blow everyone away when I hit the stage in June 2015." I qualified for the Ontario Provincial contest by placing third in the combined heavy and super heavyweight class in Cobourg, Ontario. I came in at 224 pounds with 5 percent body fat and looked great in terms of overall symmetry, strength, and leanness. I plan to take a year off and perfect my physique so I can blow everyone away when I hit the stage in June 2015. There, I hope to qualify for the Canadian National Contest. Fun isn&apos;t the result, it&apos;s the process. I don&apos;t have a favorite bodybuilder. I respect what many bodybuilders contributed to the sport. Arnold introduced bodybuilding to the mainstream and had an iconic personality. I respect Frank Zane for brining classic physiques to bodybuilding. Dorian Yates broke the mold and paved the way for the new generation of bodybuilders. I also like Kai Greene because of his humble and perseverant personality. Bodybuilding.com content provides posing tips, diet plans, training routines, and supplement reviews. BodySpace helped me network with the international community and diversified my understanding of bodybuilding. Resources on Bodybuilding.com are limitless.